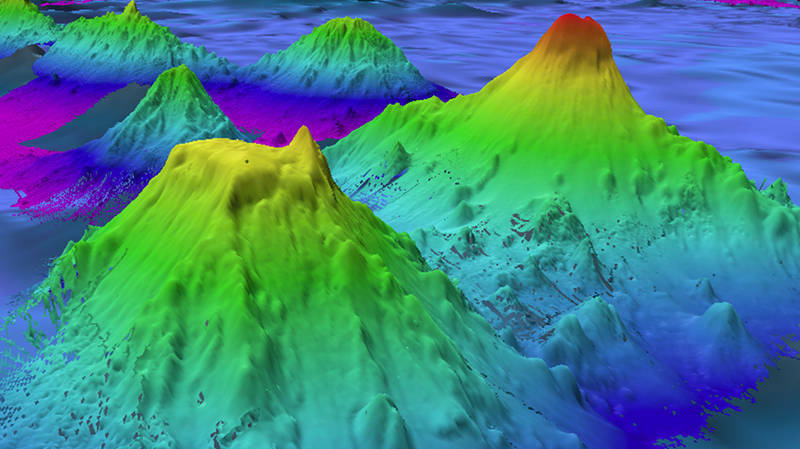 The NOAA Office of Coast Survey has posted a blog story about how they collaborate with the NOAA Office of Ocean Exploration and Research to improve nautical charts, using the data gathered by NOAA Ship Okeanos Explorer on her exploration missions, including the Gulf of Mexico 2014 expedition. 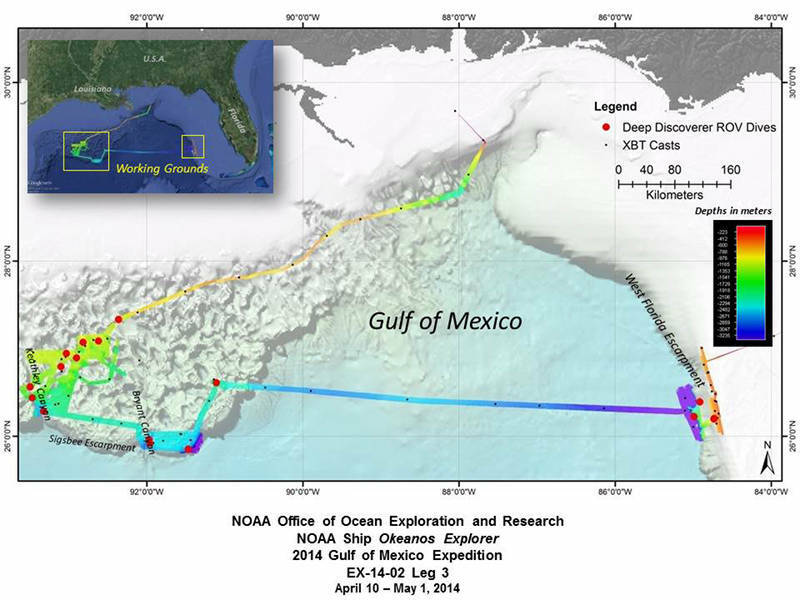 Okeanos Explorer cruise leg 3 – the final voyage in the series of three ocean exploration cruises as part of the 2014 Gulf of Mexico Expedition – conducted 16 highly successful telepresence-enabled remotely operated vehicle (ROV) dives in two different areas of the Gulf. 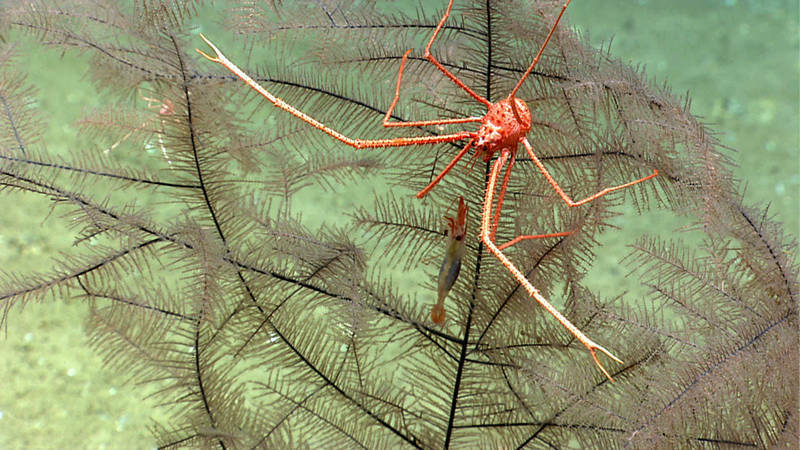 The selection of images on this page highlights some of the observations and discoveries made during the Gulf of Mexico 2014 expedition. Dumbos and Bobtails and Squids – Oh My! 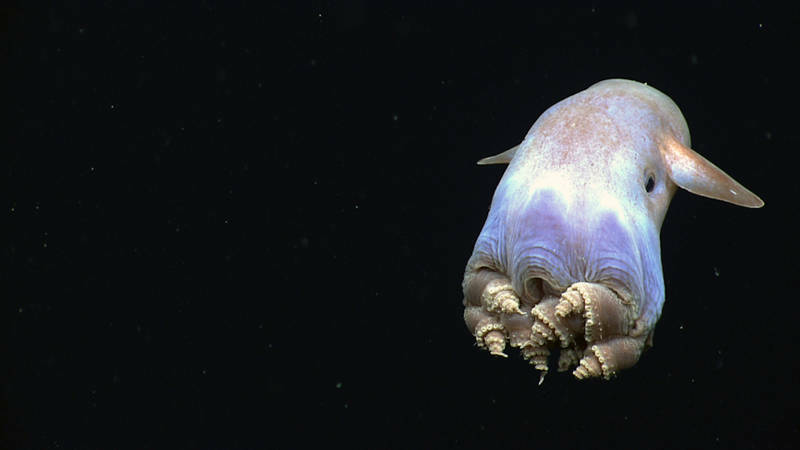 Teaching a deep-sea biology graduate course has made me interested in everything about the deep sea; however, my research focuses on the diversity of deep-sea nekton—the large, active, swimming animals. 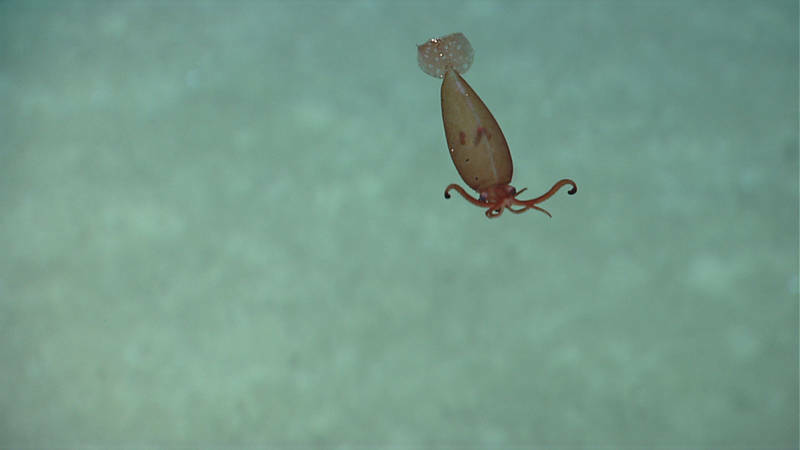 In particular, I specialize in cephalopods, the squids, octopods, and their relatives. 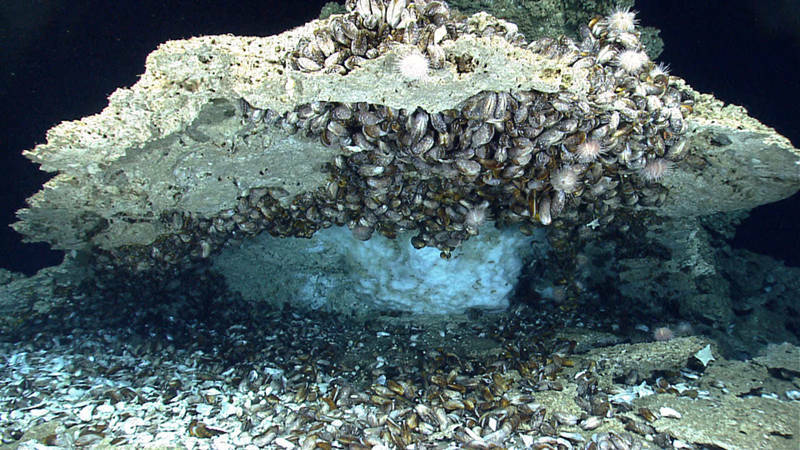 Monday, April 28 was the first of the shallow dives on Lophelia pertusa reef sites named Many Mounds. 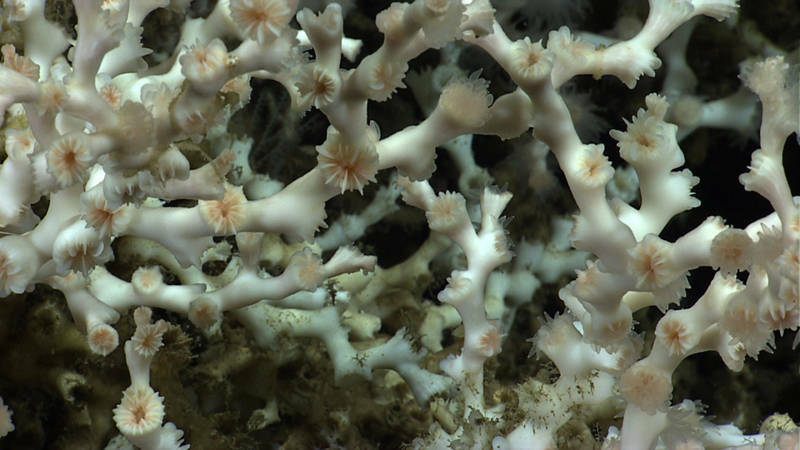 Exploration of these reefs is one of the research priorities of the Cooperative Institute for Ocean Exploration, Research, and Technology and Harbor Branch. 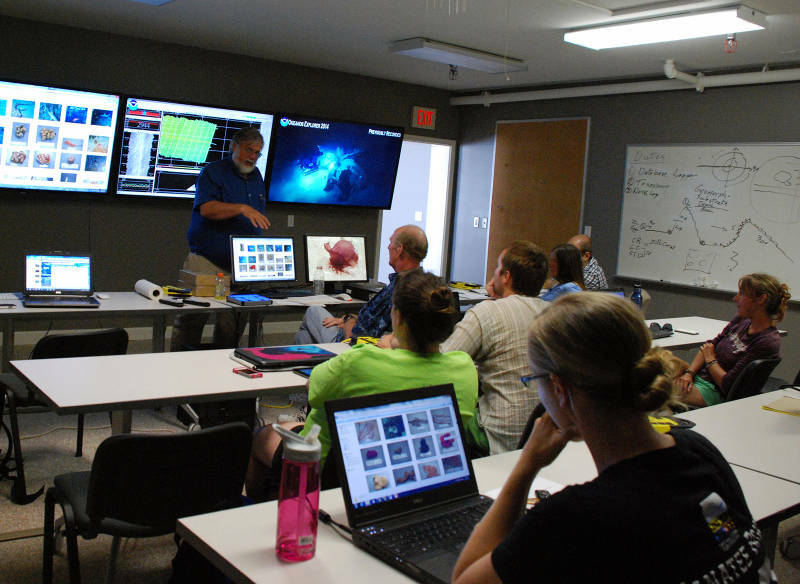 The maiden dive of the new Ocean Exploration Command Center at the Cooperative Institute for Ocean Exploration, Research, and Technology at Florida Atlantic University Harbor Branch was a success. April 26, 2014 | By Shirley Pomponi, Ph.D. 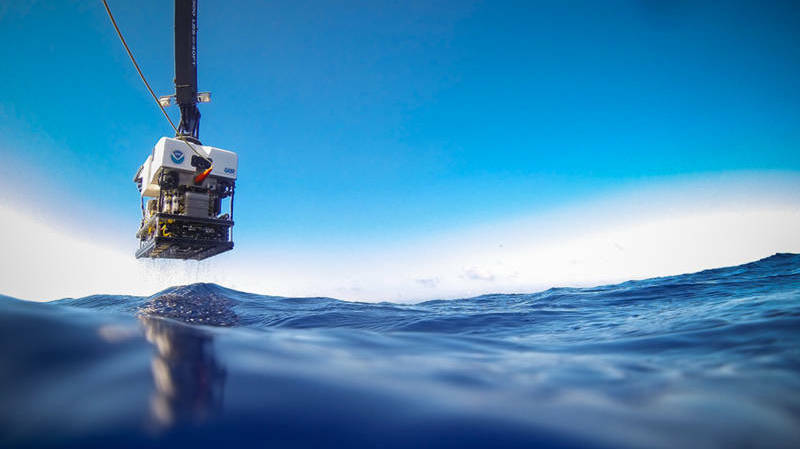 Welcome to the new Ocean Exploration Command Center at the Cooperative Institute for Ocean Exploration, Research, and Technology, Harbor Branch Oceanographic Institute at Florida Atlantic University! 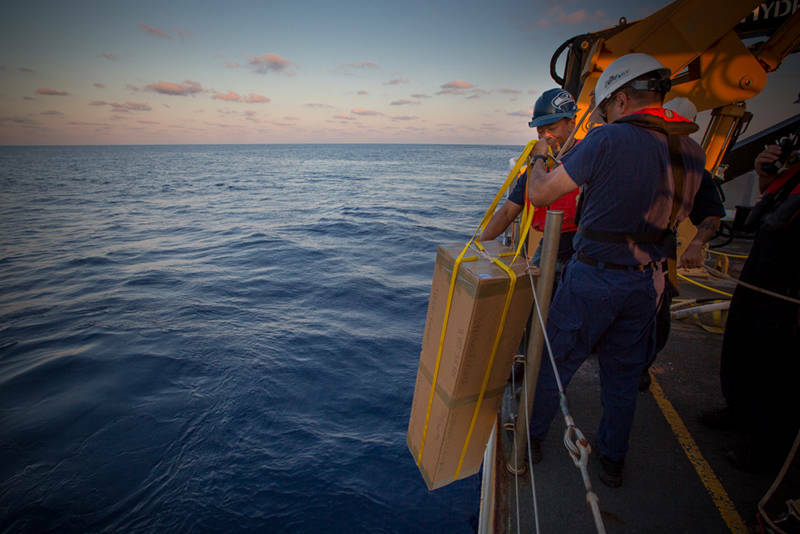 During Leg 3 of the 2014 Gulf of Mexico Expedition, four Argo floats are being deployed in previously under-sampled areas of the Gulf of Mexico. 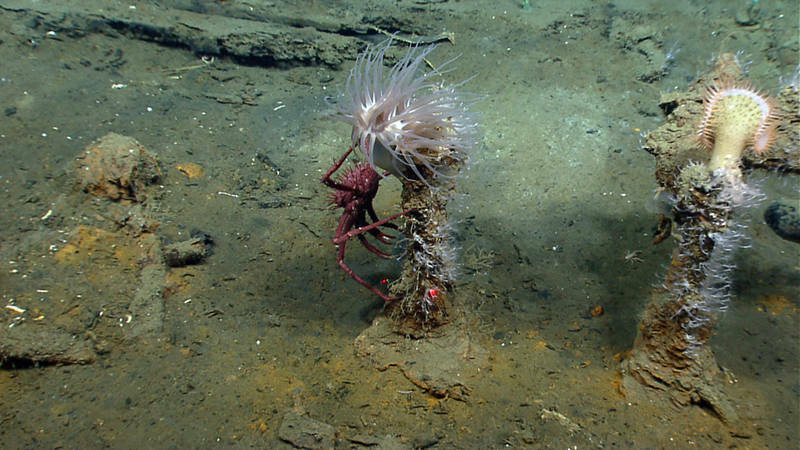 For many of the viewers of the live-streaming video from NOAA Ship Okeanos Explorer’s remotely operated vehicle expeditions, the descent of ROV Deep Discoverer into the depths of the ocean just means that they have to wait a little longer to get to the discoveries at the bottom. 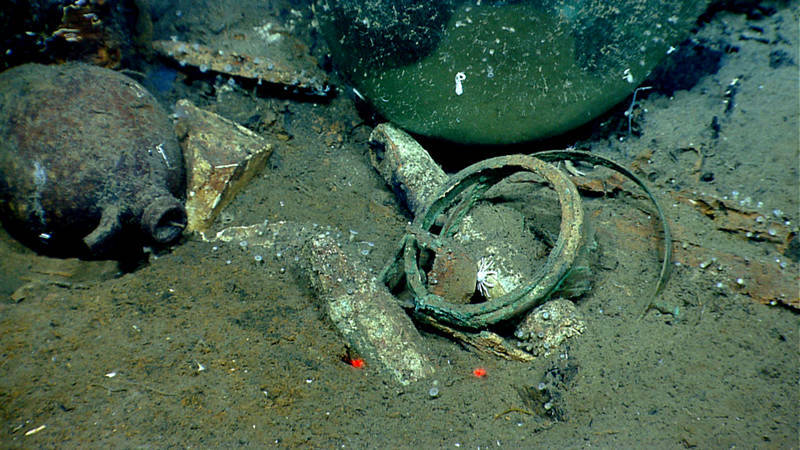 After a three-day delay due to the effects of stormy weather over the Gulf of Mexico, the waves calmed and the water cleared, providing excellent conditions for the long-anticipated return dive to the shipwreck currently known as Monterrey B.
Wednesday's dive was especially poignant for me. 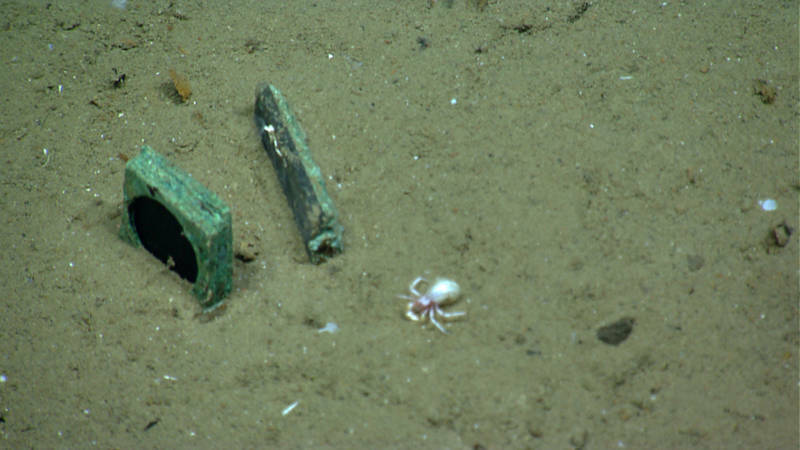 By sheer scheduling happenstance, I was piloting D2 during the part of the shipwreck survey when we discovered a quadrant and a chronometer partially exposed in the sand. We spent a wonderful day ashore at the Texas A&M Galveston Exploration Command Center, watching hi-def video sent by remotely operated vehicle operators who did amazing work while bouncing around in less-than-perfect conditions on NOAA Ship Okeanos Explorer over Monterrey Shipwrecks A and C.
Many people assume that deep-sea crustaceans (crabs, shrimps and lobsters) of the Gulf of Mexico are mostly unknown, and that any study will uncover species unknown to scientists. But such is not the case. Form Follows Function...Or Does It? 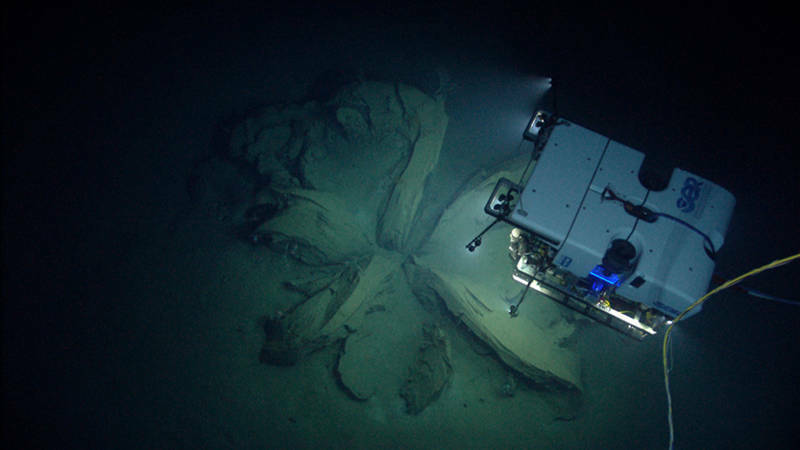 A talented engineer is an artist who paints with materials on the palette of the world. It’s a wonderful feeling when the research we do in the office is verified out in the field. 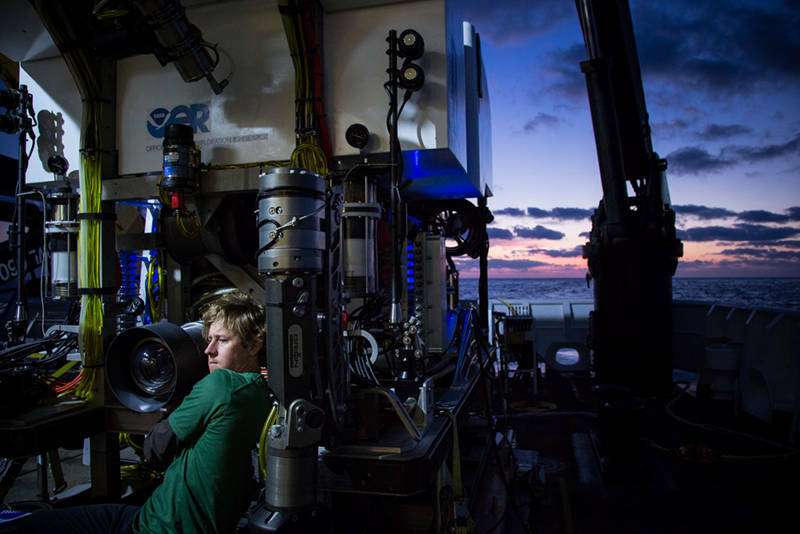 I’m a geologist at the Bureau of Ocean Energy Management (BOEM) in New Orleans, and one of my duties is to find spots on the seafloor of the Gulf of Mexico which may be naturally seeping oil and gas.